The NBA star’s team crushed the Rockets. 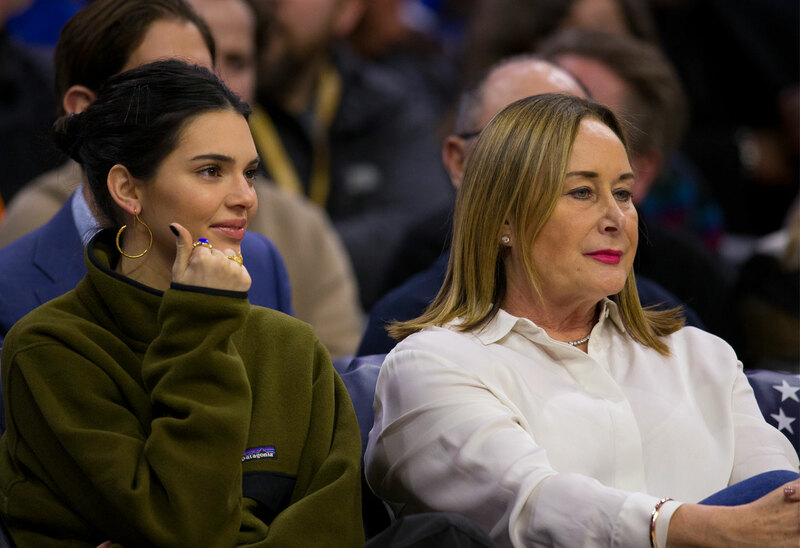 Kendall Jenner was spotted in Philadelphia on January 21 once again cheering on her rumored boyfriend Ben Simmons and his 76ers as they beat the Houston Rockets. Right by the Keeping Up With the Kardashians star’s side was Ben’s mom! Did the pair get along? Click through the gallery for all the info. The 23-year-old supermodel was decidedly dressed down for the event in a green fleece jacket. She wore gold hoop earrings, and her nails were painted blue. Next to her was Ben’s mom Julie. While Kendall was grinning, Julie was rather stoic. Ben, 22, and the 76ers beat the Rockets by almost 30 points. Earlier in the season, Philadelphia fans started a petition to ban Kendall from games, believing that she and her famous family were going to jinx the team. But so far, the Kardashian Kurse seems to have skipped the squad, who have an impressive 31 wins. The supermodel also attended the team’s game on Saturday, January 19, when they lost to the Oklahoma City Thunder. Though Kendall and Ben have been spotted together for months, including on vacation with Khloe Kardashian and Tristan Thompson, neither has publicly confirmed their relationship. What do you think of Kendall attending Ben’s games? Sound off in the comments!